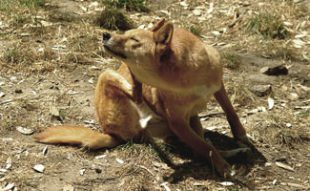 Home > Dog Health > Illness > Dog Seizures: Is Your Dog Having Them? 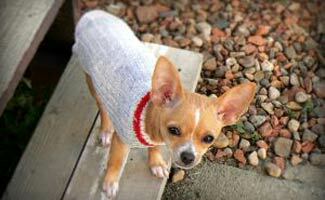 This question for our Pet Doc comes from the concerned owner of an 8 month old Chihuahua named Whisper. 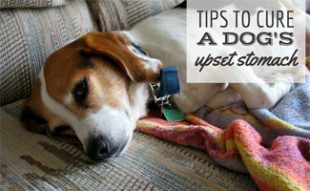 My Dog Is Having Seizures – Help! I think my little 8 month old Chihuahua Whisper she is having seizures. She acts like she is in her own little world sometimes. She loses her balance, and doesn’t eat for a while after she comes out of it. And sometimes her nose will be dry and warm. She goes around eating sticks all the time. This started about two months ago and hasn’t really changed. 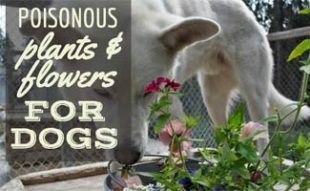 There are many manifestations of these stages and not all dogs will act the same. Many times the pre-seizure activity will include hiding, trembling, anxiousness, and attention seeking behavior. The seizure can be anything from a mild tremor to what most people think of when describing seizures. That would be lying down, shaking, losing control of bodily functions, etc. The post-seizure activity is almost always seen as a time of disorientation, loss of balance, fatigue or lethargy. If Whisper is in fact having seizures, and again it sounds very possible, then it is of the utmost importance to try to find out what may be the underlying cause for the seizures. Your veterinarian will most likely request to do bloodwork, urinalysis, and possibly other tests to include radiographs. Based off his or her findings your veterinarian will be able to help you either diagnose the underlying cause or control the seizures with medications. When did the seizure symptoms start? How many times have you seen the seizures? What is the frequency of seizures within a week, a month? Are you aware of any consistent predisposing factors that may occur after eating, exercise, are associated with sleeping, etc. I hope this helps and please keep us informed! My screen name is my email address. I won’t sleep tonite. I have had Charlie for two years. This is his third episode. This morning he was fine, running and playing. I went downstairs and thought it was odd that he didn’t come. Went back up and he is nowhere close to being himself. He acts like he doesn’t even know me. I took him to the vet the last time it happened, and they simply didn’t know. I took him today, but he started moving around then and I really didn’t want him to be poked and prodded by the vet so I left with him. The last episode took place when he was at the groomers who used loud blowers and stuff. We thought they had tranquilizer him but I think it was the trauma, so I trim him myself. He means everything to me. Each time, he has returned to being perfectly normal in about 18 hours. At the moment he won’t eat or drink or walk and I’m scared. It must be in his brain. I can see it in his eyes. I know dogs don’t sweat, but each time, his coat (especially around his face) seems clammy. I strongly suspect “unseen” seizures. Is that possible? I have a shiba Inu who is about to turn 3 and might be having seizures but I’m not sure it has only happened 3 times. I notice first he will throw up and then it looks like he has loss of balance and he’s not able to get up and his legs get stiff as a board and his head kind of bobbs around and he looks a little confused. It only lasts maybe 30 seconds or so and after he is able to get up but he poop’s sometimes right after which is not normal for him to poop on the carpet and he is also panting like he ran around. Please help does this sound like a seizure or something else? Hi Desi, it sounds like he could be having seizures. Take him to the vet. He will most likely have some bloodwork, urinalysis and other tests done to find the cause. 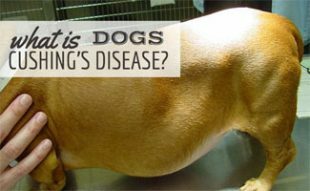 Make sure you know the answers to the questions at the bottom of this article so you can help your vet find the cause. Best of luck! My dog has really bad seizures. He is an 11 year old Shih Tzu. I'm enlightened on the phases you posted. I noticed that before a seizure he will start trying to twist his head to lick his own neck and it seems like he's trying to get rid of a taste in his mouth (I kind of thought it like a human's taste before vomiting) and sometimes he sneezes a lot, like trying to get rid of something. I wish I could prevent what follows these tells but its not mental it's biological.and within 6 or 8 hours the seizures occur, during which he will go stiff, legs straight out, sometimes tongue hangs out and eyes go empty. And although he doesn't always start to be jerky or have a weird swim maneuver or lethargic sway, he always lets out a cry of pain that only comes in this particular event (so so so sad when I hear it). He will be completely wet with sweat, I feel so bad for him and try to talk him down. One thing i am grateful for is that when it's over, within 10 to 20 seconds he just seems like any other dog. He doesn't know it and goes right back to his natural thinking and acting. He seems to lack a sense of self from the seizure. Thank god for that at least. She’s a little Yorkie about to turn four months old. She will start laying down a lot all of a sudden, and then just start staying laying down. She won’t get up for nothing and then her paws will be stiff and she can’t walk. When she tries to lay down she will roll off her bed with no control because her arms and legs are stiff. Or she will try to walk then just lose her balance and fall to the side. I feel useless when this happens. But she always gets over it and is running around playing after a while – it usually last quite a while too. It scares me real bad sometimes! Someone please help she’s sooo tiny and such a good puppy. I don’t know whether I can take her to the vet because I don’t know if I can afford all the tests all at once. Hi, My dog Jack Russel terrier has mild seizures. Head movement side to side. Six the first day lasting 10 to 60 seconds each, long story short. I have done about six hours research now on the Internet and today saw a neurologist. He wants to do a spinal tap for viruses and then an MRI. The vet put him on Pheno two days ago and he has had two small episodes since. All my research indicates a chance of a brain tumor? Is there anyone with these same mild seizures? Should I see another neurologist? Roger, have you discussed your concerns with your veterinarian? Have you told him/her that there have been episodes since starting phenobarbital? Your veterinarian should have a list of differential diagnoses he/she is working through. Ask your vet to share them with you and bring up your concern of a brain tumor. If you have already gotten a referral to a veterinary neurologist, then your family veterinarian felt it necessary for your pet to visit a more specially trained doctor. Talk to the vet and express your concerns and if you aren't happy or satisfied, then seek a second opinion. There is nothing wrong with either. Also beware of what research you come across on the Internet. There are lots of helpful and useful sites and discussion forums available but always remember that the best thing to do is visit and speak with your veterinarian directly. I had no idea there was so many different types of seizures. I like learning all I can to help out my doggies! Our thoughts go out to the Chihuahua named Whisper in this article – I hope she’s doing okay! This is great. I never thought I would find such a useful resource on pet questions while being able to purchase a nifty dog collar at the same time. I also like how easy it is to find the Pet Doc questions and answers – having their own dedicated section. Thank you Pet Doc for all your hard work!